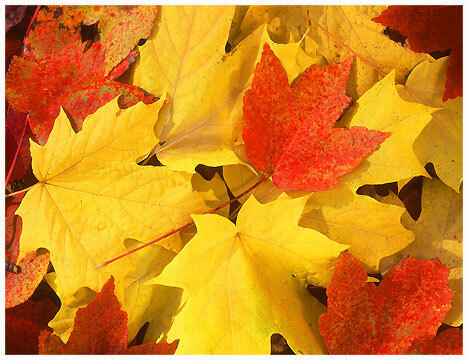 If you are looking for a warm and comforting treat to enjoy on a fall weekend I got just the recipe for you! Actually, my mom gave me the recipe and it was supposed to be a summer dish. But, I’m lazy, turns out I think I won that battle. This dish is a great mixture of warm spice and sweet fruit. Its sweet fumes of rhubarb and honey will engulf your kitchen during cooking but the actual taste is very mild and pleasant. This recipe was a hit among my friends (non-SCD) and I will be making it again in the near future. If you’re thinking, “But I can’t find any rhubarb this time of year!? !” I plan to try this recipe with apples and peaches soon. I think both will end up being delicious and you should be able to substitute them one-for-one with the rhubarb. Enjoy! 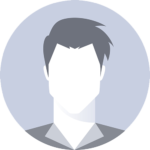 *Almond flour – I would recommend either omitting or doubling to 4 tablespoons. In this instance, it is only used as a thickening agent for the rhubarb sauce and 2 tablespoons really wasn’t worth it. 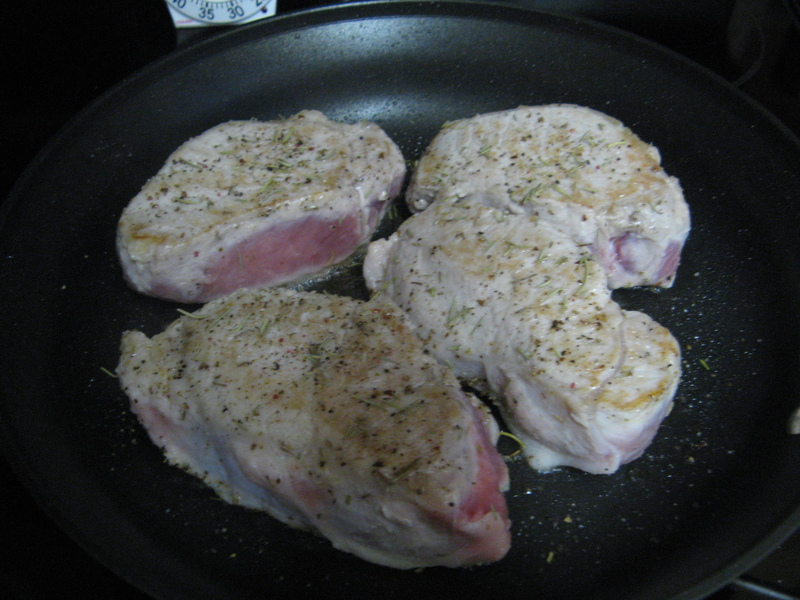 In a large skillet, brown the pork chops in coconut oil. Season the meat with rosemary, salt and pepper. 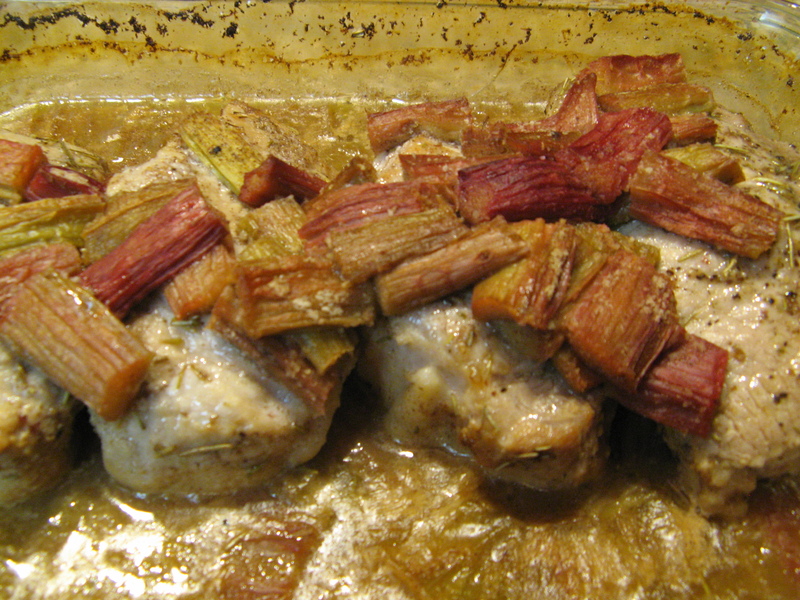 In a bowl, combine the rhubarb, honey, flour, cinnamon and allspice. 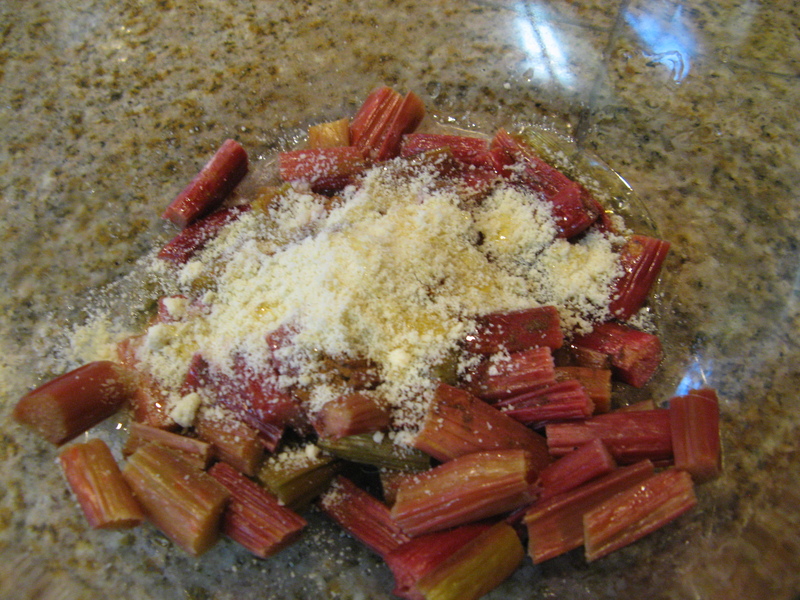 Stir to coat the rhubarb as evenly as possible. 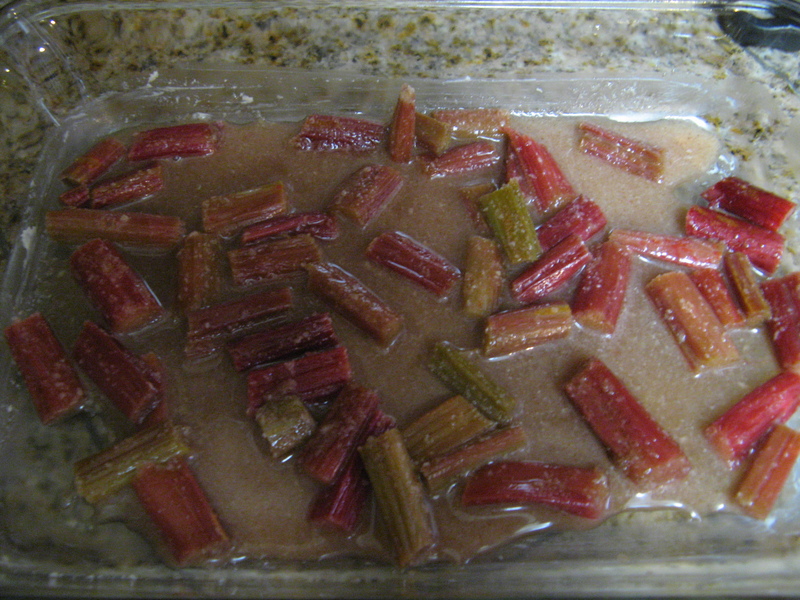 Next, spread half the rhubarb mixture in the bottom of butter greased glass baking dish (I used a 11” x 7” x 2”). 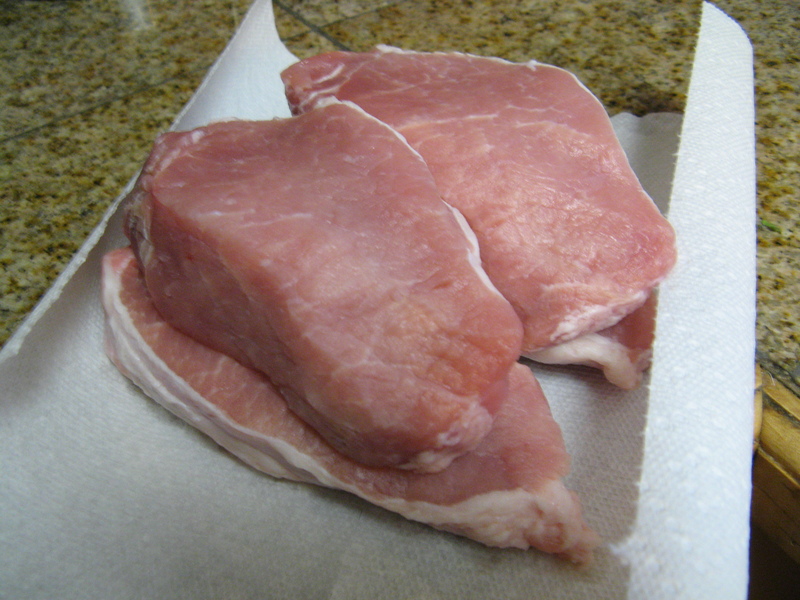 Place the browned pork chops in the dish and cover with the rest of the fruit mixture. 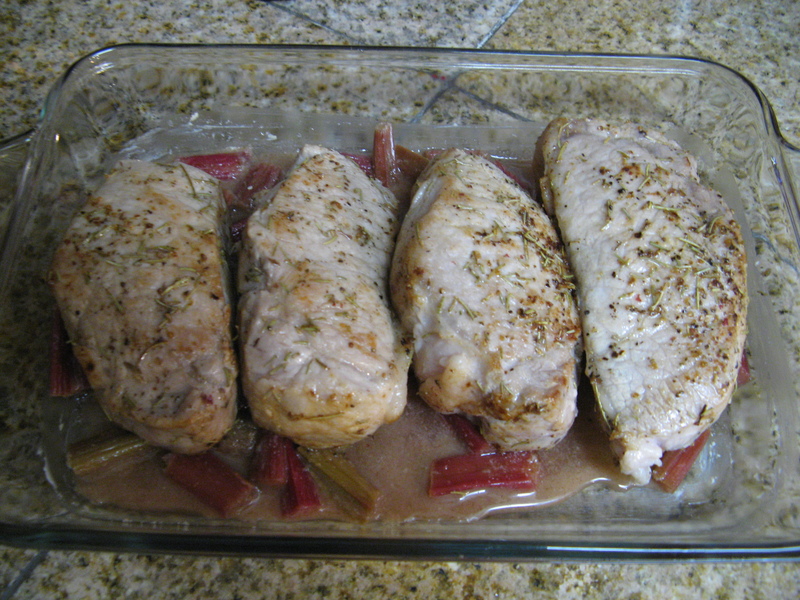 Cover and bake at 350ºF for 35 minutes. Uncover and finish for 10 more minutes or until juices run clear. I hope you enjoy this recipe half as much as I do. If you use a different fruit or play with the flour, please let me know how it goes in the comments below!